PANAM Double Block and Bleeds are designed for applications where positive isolation is required due to the dangerous nature of the process, and absolute safety is paramount. They are used to isolate the process from equipment that requires service and will not allow the process through to the technician. 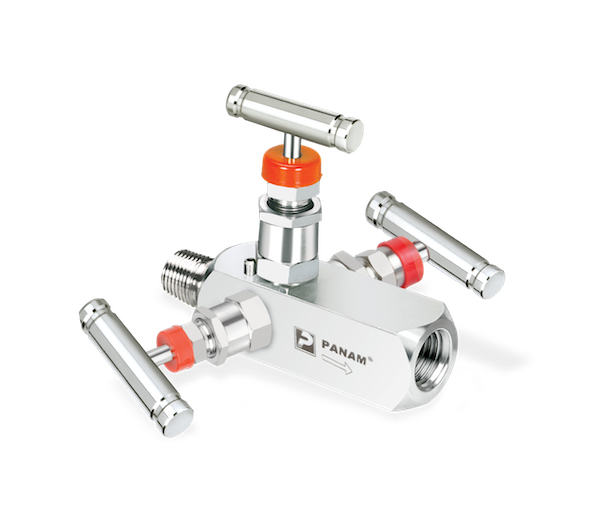 PANAM Double Block and Bleeds are generally used for instrumentation applications and are put in place to isolate pressure sensing instrumentation from, but not limited to: poisonous, flammable chemicals; super-heated steam; and vaporised hydrocarbons at elevated temperatures. These valves are available in a very wide range of configurations, ranging from ¼-inch NPT to 2500 lbs ANSI class flanged, ball and needle valve configurations, as well as a Monoflange option.